This is one of my go-to healthy comfort-food meals. We all love it and once you get the meatball making down, it’s quick, easy and really satisfying. This roasted Spaghetti Squash with Grain Free Meatballs is a huge bowl of food for ONLY 7 Weight Watchers Points Plus and really feels like you are digging into something much richer. We have been experimenting with eating grain-free for a couple of months now. Making great grain-free meatballs is not as obvious as it seems since bread crumbs are more often than not included in the meatball ingredients. Since we are already using Spaghetti Squash in place of pasta, I wasn’t willing to compromise much when it came to the meatballs. My goal was a meatball that was reminiscent of my childhood, with the classic taste and flavors I am used to, and held together nicely as if there was 1/2 or 3/4 cup of bread crumbs inside. After some playing around, I was able to get the right texture and taste with a combination of egg and ground flax. There is not so much flax that it changes the taste of the meatballs but just enough to act as a binder and hold them together. Some of my in-process photos got deleted during editing so if you have any questions about the rolling or cooking of the meatballs, feel free to message me through here. This Roasted Spaghetti Squash with White Bean and Mushroom Ragout has step-by-step instructions for how to Roast Spaghetti Squash. If you don’t use a non-stick frying pan, you will have to use a generous amount of high-heat oil. Make sure to account for the Points Plus. Note that different jarred pasta sauces can have different Points Plus values. I used Trader Joe’s Organic Marinara. Try to find a sauce that is low in sugar and added fat. Do yourself a favor and make two batches of meatballs at once. It’s easier to cook in bulk! Roll them into golf-size balls and spread out in one layer on a parchment or wax paper lined baking sheet. Freeze. When completely frozen, toss in a freezer-safe container or Ziploc bag and defrost when ready to use. Major Time Saver! Spaghetti Squash with Grain Free Meatballs. Gluten-Free / Primal. Healthy Comfort Food. Click here for easy instructions on how to roast spaghetti squash. Combine ground beef, egg, ground flax, spices and parm cheese in a medium sized bowl. Grate the garlic and onion into the mixture. Chop parsley and measure 1/3 cup into beef mixture. Using your hands, mix until well combined. Grab a large plate and begin rolling golf size balls of the meat mixture. I like to spray my hands with non-stick cooking spray right before I do this so the meat doesn't stick to my hands as much as it normally would. You should get 12 meatballs. Heat a non-stick frying pan over medium high heat. Give the pan a quick sprinkle of kosher salt. Add meatballs in one layer, being careful not to crowd the pan or they won't brown. Cook them in two batches if you have to. Cook meatballs about 10 to 12 minutes, turning 3 or 4 times to brown all sides. Once browned, remove from frying pan and place in a saucepan large enough to hold all 12 meatballs and jar of sauce. Simmer browned meatballs and sauce over a very low heat for 30 to 45 minutes until meatballs are cooked through and sauce has had a chance to absorb some of the flavors. When ready to serve, spoon meatballs and sauce over roasted spaghetti squash. Top with a bit of grated Parmesan Cheese, some crushed red pepper flakes (optional) and freshly chopped parsley if you have any left over. Enjoy! These are amazing! The whole family liked them! OMG….so flavorful!! My gluten free son is so happy!! My family just went crazy over this. My meat and potato husband (who is anti about most everything veggies/healthy) is still ranting. He can’t wait to buy another spaghetti squash for the extra meatballs. I don’t think I need to bother freezing them. Thanks for sharing!! Hi! 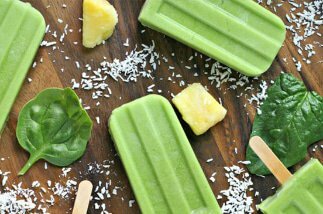 I tried this recipe for my nieces and nephew a couple weeks ago and they all loved it!! Making my second batch now tonight. Wondering about your idea of making extra- are you suggesting we cook them then freeze or to make into golf ball size balls and freeze uncooked (for cooking later). What a good idea to use flax as a binder. I’ll have to remember that since eggs aren’t on my list of foods I can eat. We’re new converts to spaghetti squash and love the texture and taste. If you can’t eat eggs, you could omit the ground flax and make 2 flax eggs for this recipe. Are you familiar with how to do that? 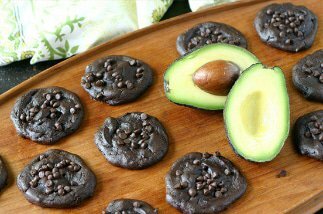 Great idea for those who need to be on a low carb or gluten free diet. Classic comfort food made healthy Kiran! Oh Alyssa, I know what we’re having for dinner tomorrow! Spaghetti squash is marvelous,and I love the meatballs you created. Scrumptious! I look forward to more of your grain-free recipes…we’re eating that way more often now, too. Anytime, Alyssa!! Happy to set a place for you. This looks like such a fresh and delicious take on spaghetti and meatballs. Don’t you hate it when you delete pictures accidentally? Such a bummer. I’ve learned to backup everything. Anyway, this is a pretty clever recipe for a grain free meatball. Looks totally delish – thanks for this. Yes, and unfortunately it’s not the first time it has happened to me. I need a better photo system! I absolutely adore spaghetti and meatballs, but with Matt’s whole “no wheat” thing I’ve really been missing it. Excited to try this one. Thanks for the great recipe! This is like my favorite meal ever! Me too. My husband actually said he was getting sick of it and I am having a hard time believing him! This sounds delightful, and while I don’t typically EVER look to improve upon your fabulous recipes..I know one thing I’m going to do when I make this….use my cast iron dutch oven. It not only browns spectacularly, but it does Magical things to tomato based recipes (spag sauce and chili)….Mmmmm mmmmm mmmm. Thanks for sharing your outstanding whole foods ww friendly recipes. They are truly life saving!! I am with you Michele – I think the dutch oven would be an awesome improvement! This looks like such a great weeknight meal! I’m all for healthy and satisfying :). Me too Laura – it really is one of my favorites! Oh how I love spaghetti squash, especially loaded with tomato sauce. I agree about making meatballs in bulk, it’s just necessary. This plate looks delicious! Have a great weekend! Thanks CJ! This dish is in weekly rotation. I will be sad when Spaghetti Squash aren’t in the stores anymore! Yay! Keep the grain-free recipes a-comin’! Would ground turkey work in this recipe, or is it too lean? It would work but I would recommend a combo of dark and white ground turkey or chicken (leaning heavier towards the dark) so the Meatballs aren’t too dry!